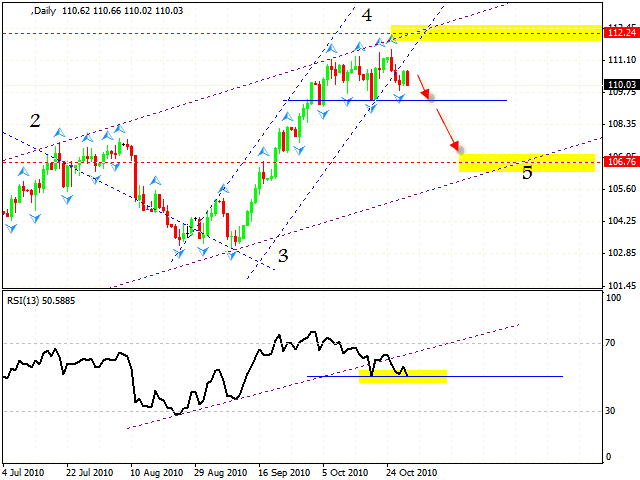 HomeFor ClientsAnalyticsForex Analysis & ForecastsForex Technical analysis and forecastsForex Technical Analysis 2010/10/29. EUR/USD, Euro Index, GBP/USD, USD/CHF, NZD/USD Forecast. Forex Technical Analysis 2010/10/29. EUR/USD, Euro Index, GBP/USD, USD/CHF, NZD/USD Forecast. 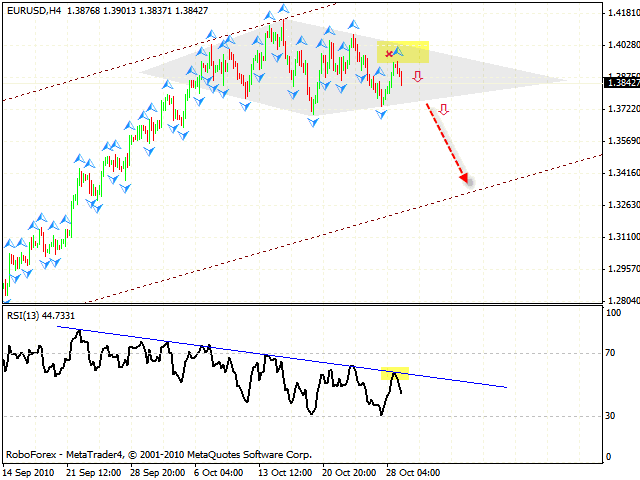 The EUR/USD currency pair has started an unexpected correction and we have the “diamond” pattern forming. As we can see by eurusd forecast, the price hasn’t reached the pattern’s upper side, meaning there is a possibility that it will be broken downwards. That’s why we either try to sell the pair, or wait until the price leaves the pattern. The target is the lower side of the daily rising channel. To confirm that the EUR/USD currency pair is going to fall, let’s take a look at the Euro Index. The “failure swing” reversal pattern at the RSI forex online indicator hasn’t been yet completed, but the RSI is testing the support level. After the level is broken, we will see the Index falling down. The target of the fall is the area of 106.76. 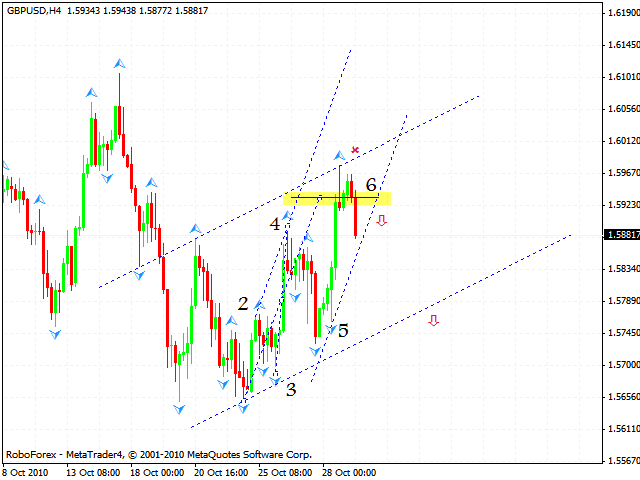 Judging by gbpusd forecast, you should consider selling Pound after the price is out of the rising channel. Currently there are two of them, and after the second channel is broken one can increase the amount of sales. 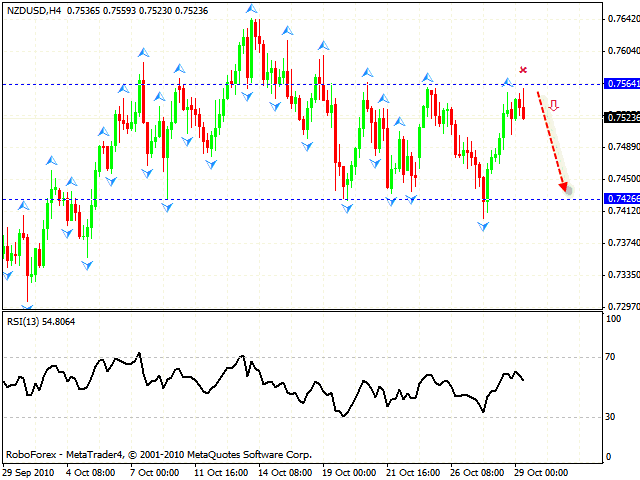 In case of the USD/CHF currency pair the rising trend continues. By the moment the price has tested the neckline of “head & shoulders” reversal pattern with the target in the area of 1.0010. The target of the symmetrical pattern at the price is the level of 1.0060. 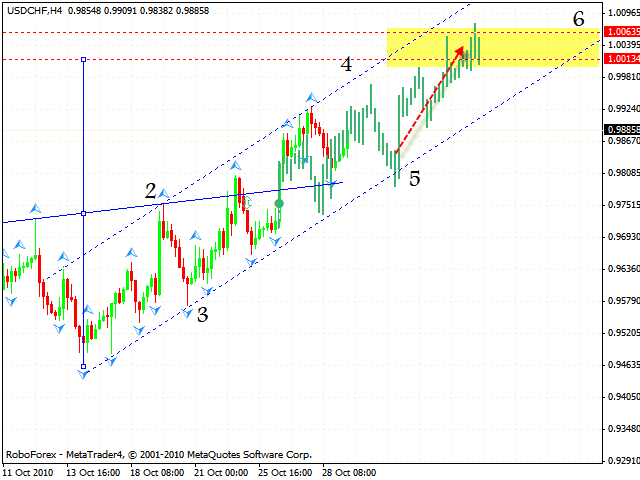 According to technical analysis usd chf, you can try to buy the pair starting from the channel’s lower border. New Zealand Dollar is very unpredictable. After the “triangle” had been broken downwards, the pair broke it upwards too. Currently the pair is testing the resistance level. Judging by nzdusd forecast, you can try to sell the pair with the stop above the resistance level, 0.7564, and the target near the support level, 0.7426.